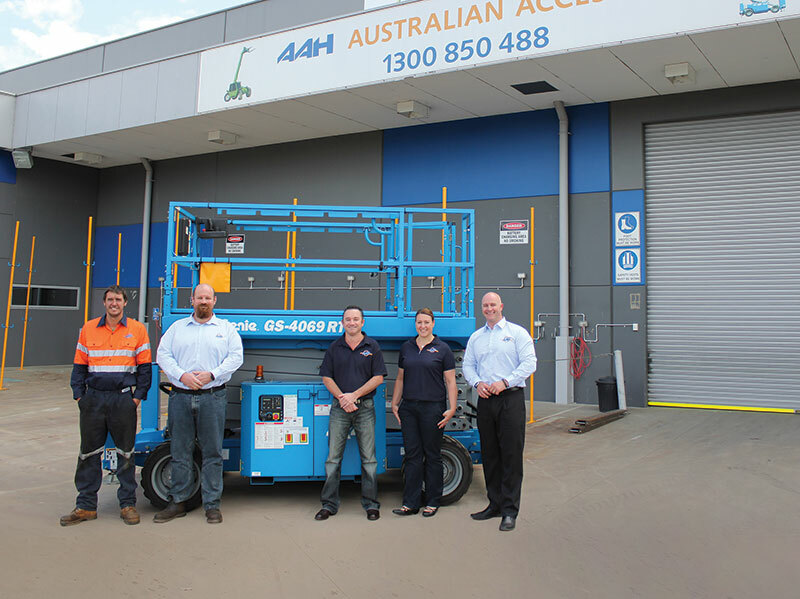 Despite the current year being one of the toughest experienced by Trent Hogan at Australian Access Hire (AAH), the company has continued to build ITS fleet, with the Genie® brand the mainstay of ITS 1000 unit Sydney based operation. At the heart of the company’s success is the Genie® GS™-69RT series of diesel powered rough terrain scissor lifts. When the GS-69RT series was launched in Australia in 2011, Trent Hogan purchased the very first unit. And based upon his success with the GS-69RT series in particular and an affinity with the Genie brand, Trent has added almost twenty GS-69RT series units to the AAH fleet. “The NSW market has been really flat through 2013, but that has not stopped me from purchasing quality Genie equipment,” Trent Hogan said. The Genie GS-69RT series has been a brilliant acquisition. Trent makes a point of purchasing his units fully optioned and that includes being approved and ready for work in the mines. While Trent says the NSW market was measurably stronger two to three years ago, he is confident about the return to buoyant conditions. A change in government in NSW and now federally, has already seen some big projects spring up. The Darling Harbour exhibition and convention precinct is undergoing a massive redevelopment, the Holsworthy Army base relocation project is under way, Westfields is expanding in NSW and there are new road tunnel projects scheduled for Sydney. “AAH is set to ride the next wave of development in NSW and Genie will continue to be a major factor behind our success,” Trent concluded. Left to Right: Mark Ranger - National Service Manager, Nathan Fahey - National Operations Manager, Matthew McKee - Chief Financial Officer, Nicole Fotheringham - National Credit Officer, Trent Hogan - Managing Director.